Welcome to the website of Ian Lavin, close up magician. Hire Ian to entertain your guests and ensure that everyone is talking about your event. 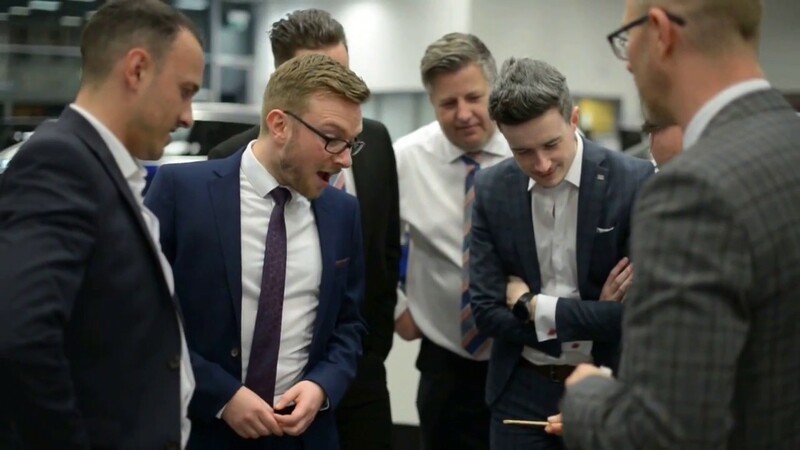 In addition to being one of the most sought-after magicians in Manchester, Ian performs his unique brand of close up magic across the UK at a variety of corporate events, weddings and private functions. In addition to premier league footballers, television personalities, politicians and actors and actresses, Ian has performed for a variety of corporate clients, including, Bentley, Lexus, Harrods, Hitachi, the Lavender Hotel Group and Q Hotels. His sleight of hand skills combined with his engaging personality makes him popular wherever he goes. 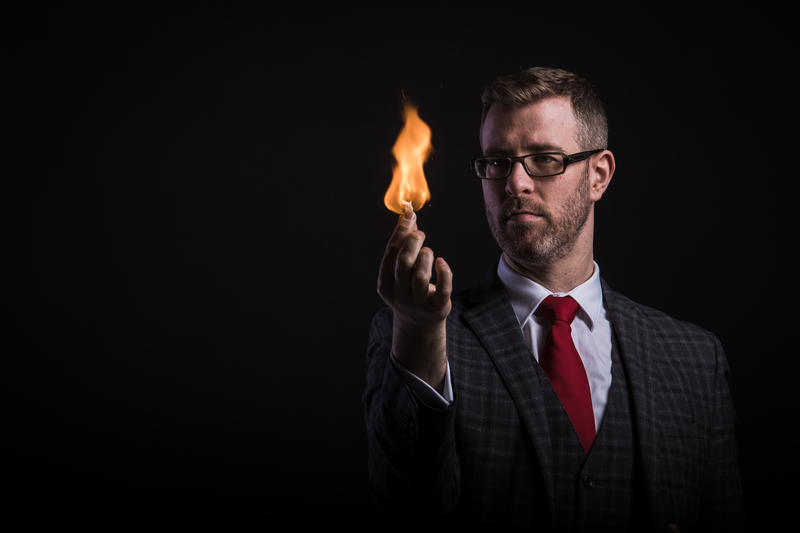 Using everyday objects, Ian will mingle with your guests performing first class close up magic that is guaranteed to get everybody talking about your event. Close up magic is a very unique form of entertainment. While most people have seen magicians performing on television, few have experienced the wonder of witnessing close up magic performed live. 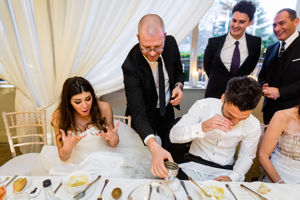 Whether he is mingling with your guests at a drinks reception or strolling between tables during a meal, Ian will ensure that everyone will have a memorable and magical time at your event. 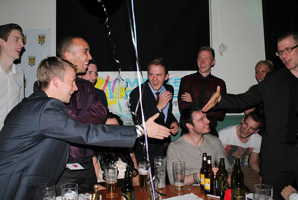 Close up magic can really make your event stand out if you hire the right close up magician. Ian Lavin is the right close up magician. What type of magician are you looking for? Good afternoon Ian, Wow, what can I say? Thank you so very much for making our ball so extra special and memorable! Your magic was a huge success and I can’t thank you enough for doing such a fantastic job! The amount of people still talking about your incredible tricks is brilliant to hear and a testament to how talented you are. We are absolutely delighted with the service you provided to us and we literally can’t fault it. Just wanted to say a huge thank you for yesterday, you went above and beyond our expectations and made the party for us, everyone was blown away with the close up magic and the kids enjoyed every second of their time with you. We hired Ian for our Christmas party and the feedback received from members of staff was fantastic. Ian really helped to keep people entertained as they arrived and helped people mix between offices. The magic was really fresh and was a great success. 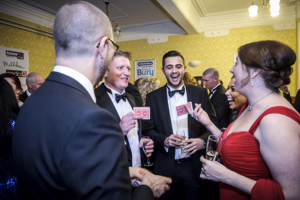 Each year, F Duerrs & Sons Limited hold a charity ball to raise funds for children’s charities. This year we held our ‘Marmalade Masquerade’ Ball at the Imperial War Museum North in aid of MedEquip4Kids and were very fortunate to have Ian Lavin entertain our guests with his magic. Ian arrived promptly, was dressed very smartly and was a very accomplished magician. In fact, Ian so impressed our guests that he has had two bookings from the event already! A big ‘thank you’ to Ian for making our wonderful event even more memorable. Hi Ian, I thought that I would drop you a line to say thank you for the great evenings entertainment you provided for my guests with your magic. I think there were somewhere in the region of 120 people at the party, and everyone that I have spoken to have all said how brilliant your card tricks were. I have to say that I was slightly apprehensive before the party, wondering if a magician would go down well with guests who would be drinking and listening to live music. I need not have worried everybody loved your tricks and slick presentation, many have said that they would be looking to book you for their parties. Once again thank you for a great night. Hi Ian, I just want to say that I cannot thank you enough for helping to make my wife’s birthday celebration so memorable. Everyone enjoyed your magic, young and old. Everyone I spoke to in the days following the party mentioned you and how mesmerised they were with your skill. I will certainly recommend you to anyone planning a party.